IntegraGen is committed to the security and privacy of genomic data. Our cloud-based genomic analysis tools and storage platform utilize the latest security technologies and incorporate strict privacy restrictions to ensure the utmost compliance with applicable regulations. IntegraGen adheres to international standards of practice for the protection of personally identiﬁable information for cloud-based services. 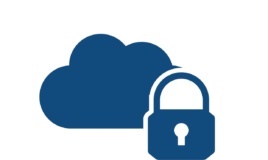 Communications over the Internet to our cloud platform are encrypted in transit and all data is encrypted at rest. User identities are authenticated with multiple factors and access to sensitive data is. Our cloud infrastructure maintains a secure environment for genomic data through progressive layers that deliver a high level of defense. This includes physical security at data centers, security protections for hardware and software, and processes utilized to support operational security. Our cloud-based platform regularly undergoes independent veriﬁcation of security, privacy, and compliance controls, achieving certiﬁcations against global standards. Below are examples of some of our platforms certiﬁcations.